The Chevrolet Bolt EV is an all-electric car that has totally changed the meaning of a green vehicle. Chosen as Motor Trend’s 2017 Car of the Year, the Bolt EV is the total package, integrating design and efficiency. Having an EPA-estimated 238 miles with a full charge and a powerful acceleration, this all-electric car is ready for longer drives. You can easily move between gears electronically in the , causing an effortless and reliable experience when you drive. What's more, it offers considerably more space for front passengers and the cargo capacity to carry even large, bulky items. 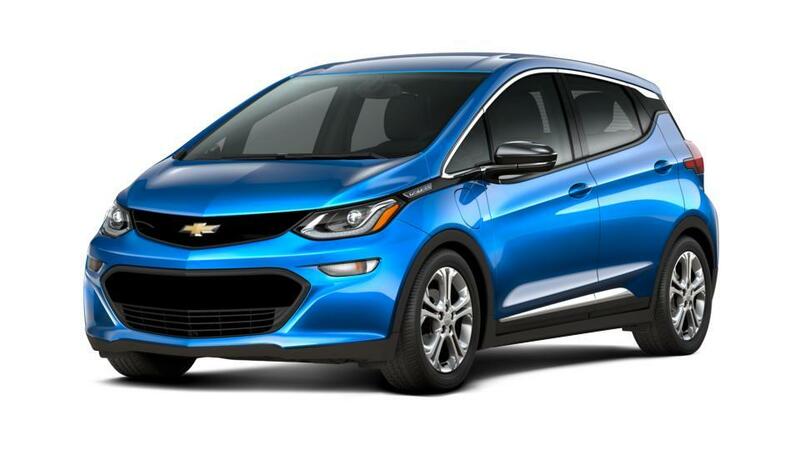 One of the most helpful qualities of the Chevrolet Bolt EV is that you can charge the battery as much or as little as you want, based totally on your needs. If this description has set off your interest in this impressive all-electric, visit your Cadillac dealer near Raleigh and Durham today. Check the new Cadillac inventory at our dealership. Choose the color and add-ons that you like. If you would like to learn more about the buying and leasing options available at our dealership, then give your local Cadillac dealer a call at (919) 764-0345. Don’t forget to take a look at the hours and directions page to find the easiest route to our dealership. We look forward to meeting you.